Just finished running Shadows Over Eternia: He-Man vs. the Cthulhu Mythos 5th edition game at Nexus Game Fair. As always it was great fun, a couple of highlights being He-Man taming a T-Rex against all odds and turning it into his new "Battle-Rex," and Trapjaw escaping alone back to Eternia (after Skeletor and Evil-Lyn had been killed by Cthulhu) and leaving He-Man, Man-At-Arms, and Teela in R'yleh to rot! If you are one of those players reading this, thanks for a great game at Nexus! But a couple weeks ago I wanted to playtest the 5th edition update to this game (it previously was 3.5e), so I wouldn't be all thumbs as far as the 5e updates go at the actual convention game at Nexus. As luck would have it, I got permission to playtest the updated game at the actual Gamehole in Madison, WI! Since I was going to be playing in such a shrine to gaming, I figured I'd ask the players coming to the playtest to feel free to use their smartphones and cameras to record little bits of the game whenever they went to take a picture or if they felt like it. Also, the official Vorpal Chainsword photographer, ShadowGolem, brought along a camera and tripod and set it up above the table, so we could get a time-lapse picture set of the whole game! Everyone sent me all their pictures and video snippets they happened to take and I put together a simple little 9-minute video showcasing the 6-hour game. 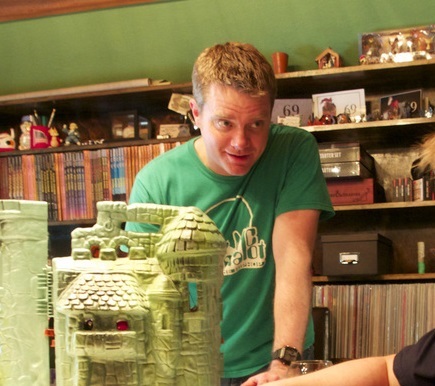 If you like 80's cartoons, D&D, Miniatures, and Cthulhu, then you might get a kick out of it. My players tend to roll a lot of 1's. I know everyone says that, but seriously, a couple of these guys would trip and cut their own heads off if it were an option (and it has been). So when players roll a '1' in my game I've tried livening up the event through various means. First I tried making rolling a '1' always result in dropping your weapon and falling prone. This got old and boring fast, as sometimes there just wasn't a good reason a character would drop their weapon and then fall over. Throwing a dart at an orc? *Slip! Plop! * The first time that's funny. The fifth time its just dumb. Plus it quickly felt like it was being forced upon the players, rather than a ridiculous event. Every time they rolled a 1 they fell down and suffered the -4 to AC, etc. It just became a mean penalty rather than a hilariously spontaneous event. I always like it when a new Tabletop episode comes out and is about a game I can wholeheartedly recommend. 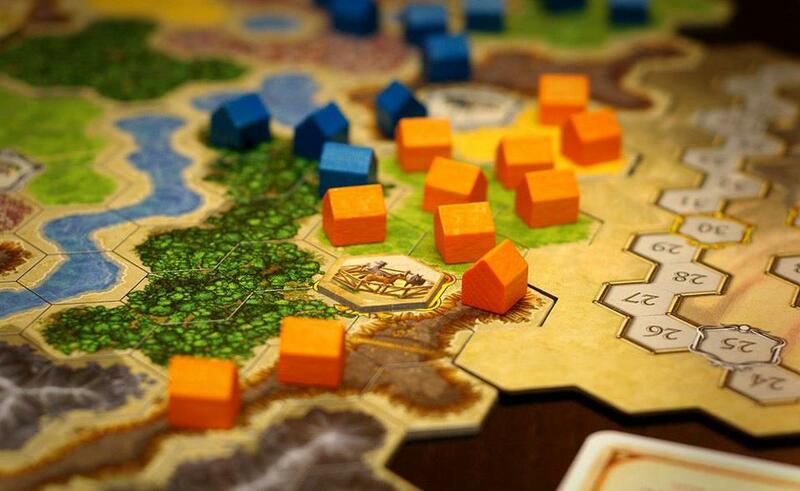 Kingdom Builder is one of those games. Its not flashy or complex like Arkham horror, but its a refined boardgame that one can play with regular muggles. Its a game that is simple enough to introduce to family members, but interestingly nuanced enough to engage even the most ardent fan of Axis and Allies. However, they kind of mucked up the rules a little on this episode, so don't go into this episode thinking its going to explain the rules perfectly well. Its not, and Wheaton even says so. But it does show the simplicity of the game, and how much fun it is (and really, how quick it plays). Plus, screwing up the rules with your friends is one of the primary benefits of inviting people over to game! Something about that blogpost title doesn't sit quite right...but I'm not going to dwell too much on it. That's because what that title is referring to is that yesterday I got to run Shadows Over Eternia: He-Man vs. the Cthulhu Mythos at the actual Gamehole! 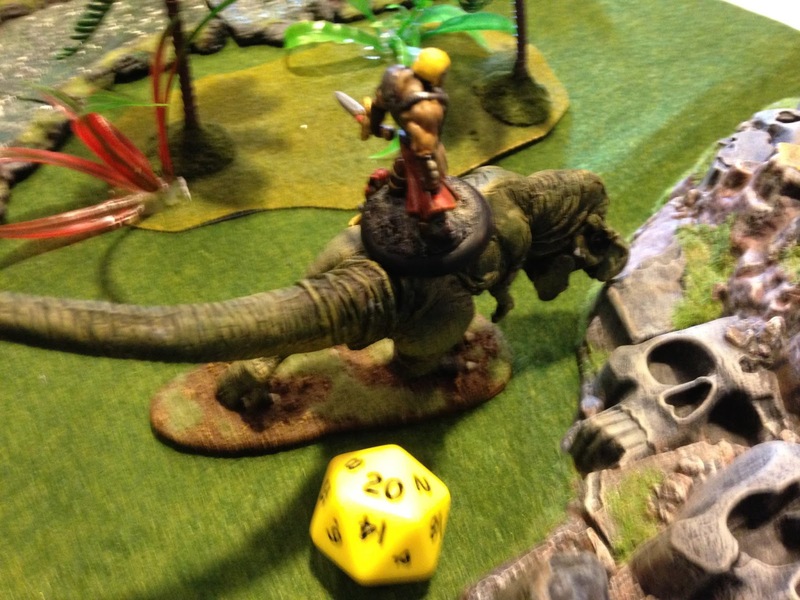 It was a playtest of the new and improved 5th edition version (updated from 3.5e) of my He-man/Cthulhu convention one-shot game in preparation for running it at Nexus Game Fair in two weeks. See, I needed to practice toting all the figures, terrain, props, and whatnot from the Vorpal Chainsword Game Workshop(tm) to another gaming location and time the setup/session/teardown to make sure it fell within my alotted game time for Nexus. I realized this would be a great excuse to ask Alex if I could run it in the Gamehole, and he was kind enough to let me use the space to practice. Not only that, but all the players chipped in with recording snippets of the game on their phones and cameras and whatnot and we got some pretty sweet video and pics of the session. I'll see if I can sort through it all to find the interesting bits and make up a quick (and concise) video showing all the cool stuff from the game, which I'll post up on the Vorpal Chainsword website when complete. The Jungles outside of Snake Mountain are filled with vicious Eternian Laser Raptors! In the meantime, here's a sneak peek (and minor spoiler) of some raw video taken after the players solved the first of the laser puzzles inside Castle Greyskull! 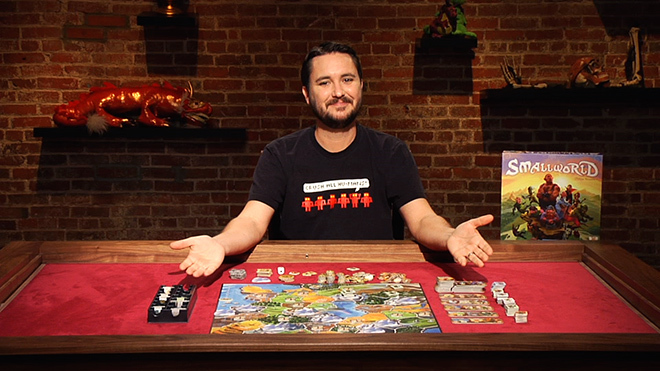 As most of you know, Wil Wheaton is the host of the extremely well-crafted online boardgaming show, Tabletop. On Tabletop he plays boardgames with other famous nerd-types and it gets edited down into a manageable chunk that's conducive to online viewing. Plus they put in graphics and stuff in there in post-production to help explain the rules. Its a good show, especially if you want to learn the rules to a complex boardgame they feature before you play it yourself for the first time. Today Wil Wheaton released the first episode of his new RPG show on Geek and Sundry, Titansgrave: The Ashes of Valkana. Now, the title of that campaign drips with RPG adventure, so kudos on that right off the bat. However, I'm nervous about how this show will eventually play out. I've watched a few 'Twitch'-style RPG game session-shows in the past (where everything is recorded and you just watch 2 straight hours of nerds playing D&D), and I feel like they don't present RPGs in the best light. Because, to be honest, watching other people play an RPG usually isn't that fun after a while, unless something really special is going on in that moment in the game, and it makes RPG games look boring (even though they most certainly aren't when you're playing them!) Because RPGs are by their nature very slow events for bystanders. Boardgames are also generally slow events, but the show TableTop is successful because the editors cut out all the slow bits, leaving just the good stuff for us to watch. But can the same be done with an RPG? Can you edit out the boring stuff that happens during an RPG session and yet still be able to impart the storyline completely? 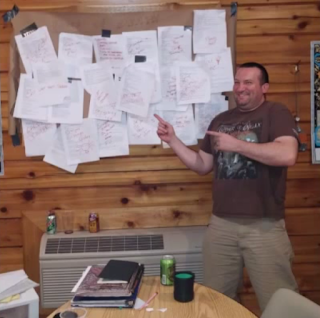 The Wall of Dead PCs after the 2015 Undermountain Mega-venture!